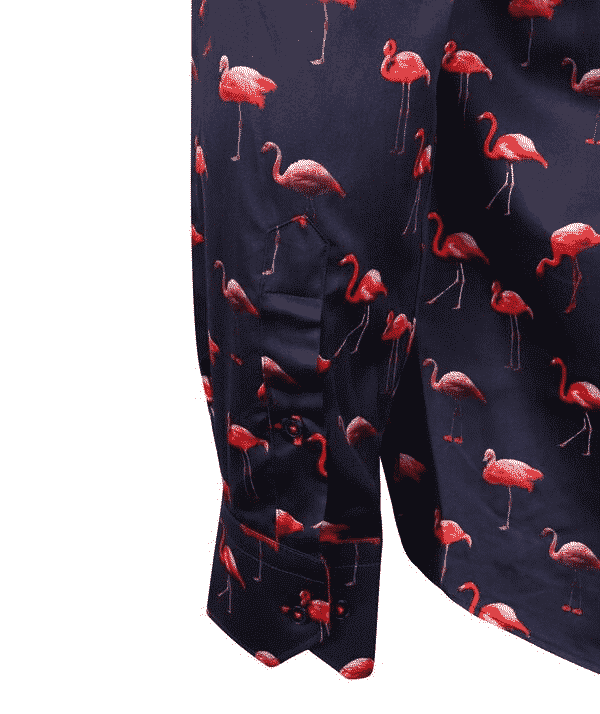 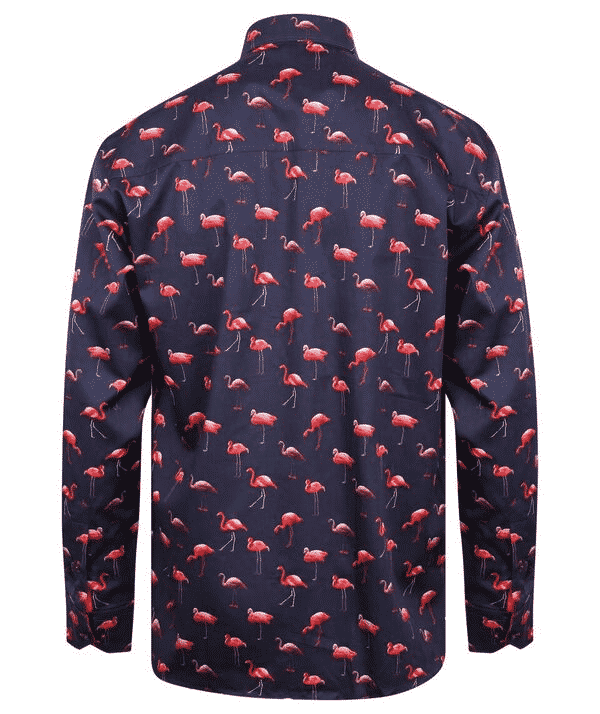 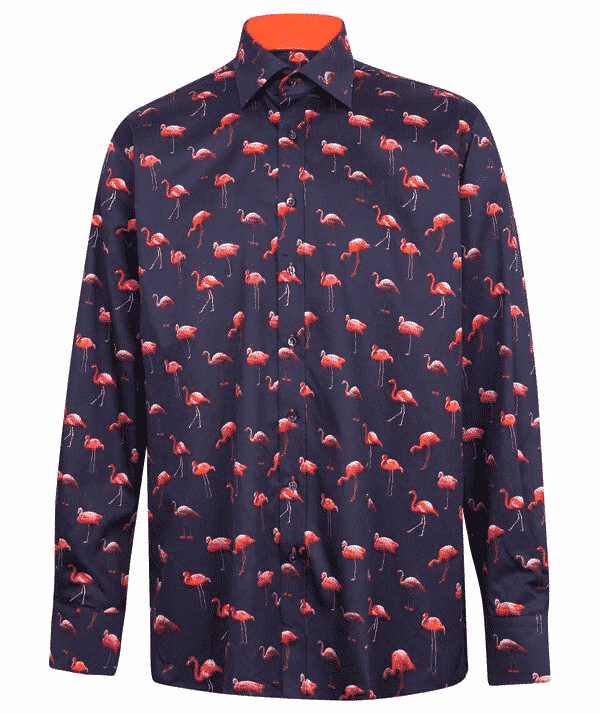 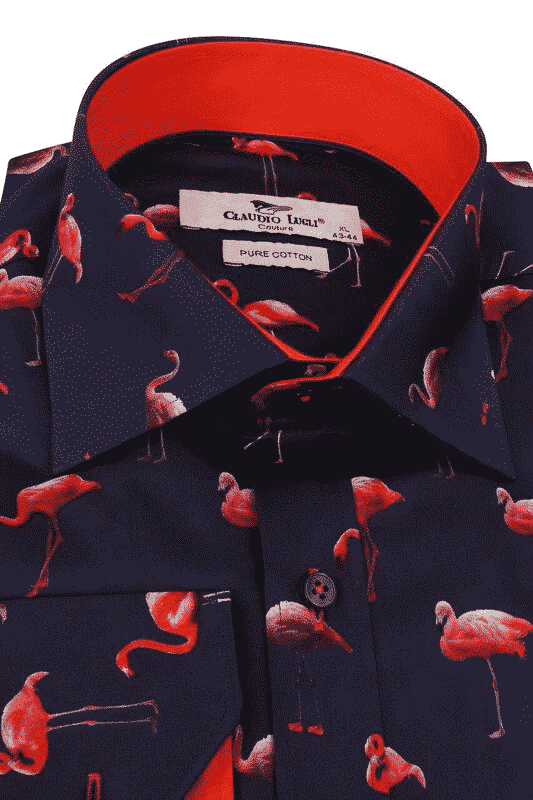 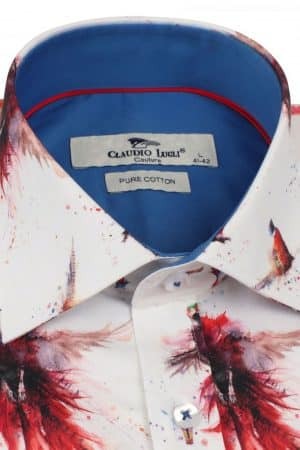 Enliven your look with a flamboyance of flamingos, courtesy of Claudio Lugli flamingo print shirt. 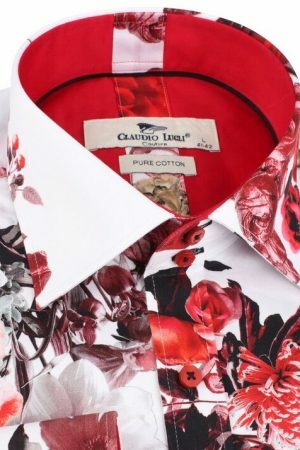 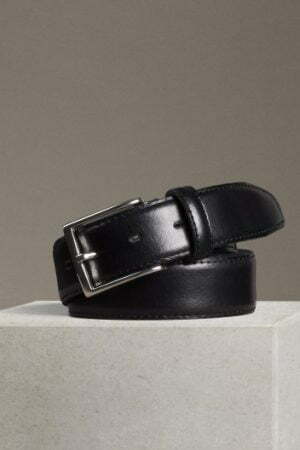 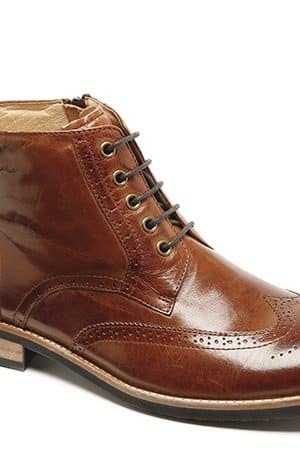 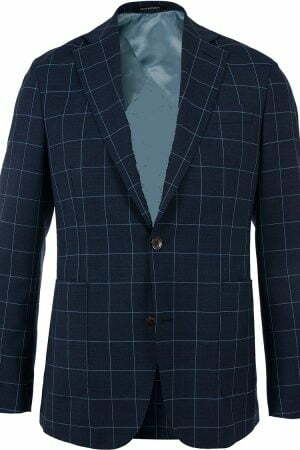 Comes with Red trim inside collar and cuffs. 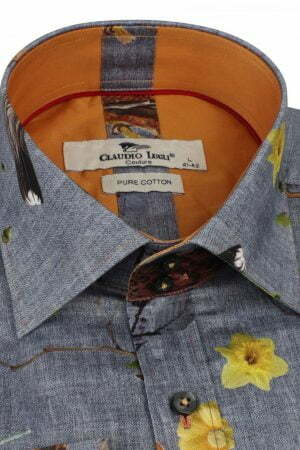 A classic cotton shirt with a fun all-over print, it makes an eye-catching addition to your wardrobe ensembles.